Mrs. P says: Sign up for a library card! All HCS students already have patron accounts at our HCS libraries. 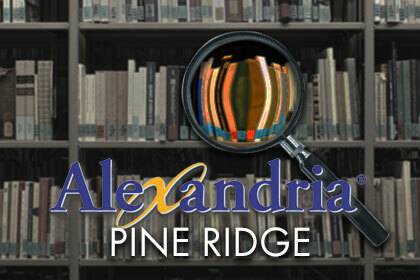 Do you have a library card for our great public libraries? Celebrate your birthday and help the library at the same time. Read & write reviews, leave a comment! What does a teacher librarian really do? Scholastic web page. Information about authors and links to their own pages when available. An alphabetical listing of author pages can be accessed by clicking on “Children’s & YA Literature Resources”, then “Authors & Illustrators”, “On the Web.” Some are official, others tributes or interviews. Links to 18 Michigan authors. Random House Publishers’ links to authors and illustrators. A tool for reading and researching scripture online in the language or translation of your choice. Provides advanced searching capabilities based on keywords or scripture references, and various tools to enhance your study of the Bible. BiblePlaces.com features photographs and descriptions of sites in Israel, Jordan, Egypt, Turkey, and Greece with an emphasis on biblical archaeology, geography, and history. Site for kids from “The Back to God Hour” Bible stories, devotions, memory verses, quizzes, and more. This dictionary covers more than 28,000 notable men and women who have shaped our world from ancient times to the present day. Learn about famous African Americans from the History Channel site. This site has biographies of women who contributed to our culture in many different ways. There are writers, educators, scientists, heads of state, politicians, civil rights crusaders, artists, entertainers, and others. Some were alive hundreds of years ago and some are living today. Searchable by subject and name. Listed in chronological order. Also links to Presidents and “Kid Bios” which are written for students. From Revolution to Reconstruction and what happened afterwards. Includes section on U.S. Presidents. Sites with suggested reading lists and information about books. Lists state and regional award winning books for children and young adults. Links to booktalks, lists of recommended reading, book reviews by children, and more information about children’s literature. Free reading motivation program in which students earn points by reading books and taking online quizzes. Registration is required. Guide to children’s literature and books. Activities to help young children strengthen learning skills in unique and playful ways. Games, information, and activity pages. Kids games with parent and teacher resources. Links to authors, series, book reviews, games, and special features. Links to recommended books, magazines, authors and illustrator sites from the New York Public Library. Math, reading, language, and geography games. Links to kid-safe search engines, games, and activities. Clicking on “home” links to a health site for parents and a health site for teens. Searchable sites. Stories and scripts for reader’s theater and more! Read and rate humorous poems written by other students and by published authors. The site has over 35,000 spelling words and eight games. Thousands of free spelling lists for students and teachers can save their own. Students work with authors, editors and illustrators in exclusive workshops designed to guide them in developing their writing skills. Featured activities included for writing poetry, book reviews, folktales, and speeches. Grades 1-8. Includes links to all subjects, games, projects, authors, adventures, and more. Searchable site. Book reviews written to assist librarians in selection, written by a Middle School Media Specialist. Find out what title comes next in your favorite series. This site, maintained by the Monroe County Public Library, Indiana, lists the titles of many children’s series in order. A team of librarians contribute to this site that will point you to excellent resources on a huge variety of topics. M.A.M.E. Michigan Association for Media in Education. Links to booktalks, lists of recommended reading, book reviews by children or other information about children’s literature. 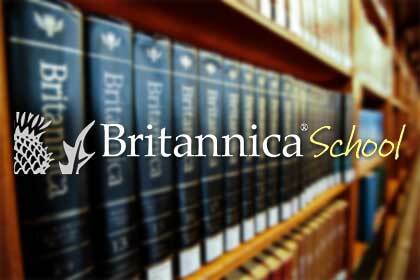 Provides help in developing reading, writing, reasoning, and research skills K-8. Discusses literature in the lives of children. Offers topical book lists. Some activities available without subscribing to the magazine. Includes CHIRP, CHICKADEE, and OWL. Some activities available without subscribing to the magazines. The online version of the magazine includes web sites for homework help, monthly activities, games, sections for parents and teachers and a sneak preview of the current issue. Early learning concepts are featured via stories, poems, and activities with Bert, Ernie, and other Sesame Street Characters. The website connects to Sesame Workshop pages for parents and kids. Online science magazine for kids and classrooms. Complete site access requires registration. The Web version mirrors the print edition while capitalizing on the magazine’s interactive appeal. Students learn math on this interactive site. Math activities, games, and lessons designed by National Council of Teachers of Mathematics. Search by grade level, operations, standards. Games and exercises for math practice at all levels. Practice your math facts here. Set your own level and kind of problems. Designed to provide math links for students, guidance for parents, and standards based resources for teachers. Dozens of math games! Have fun, practice your skills. Play games to build your speed at multiplication. Choose by fact families and level of difficulty. Dallas Symphony Orchestra for Kids! Play games, listen to music, make your own musical instruments, and more. Begin your journey into the realm of music. Fun, kid-friendly site. Learn about instruments, composers, conductors, and more. Compose your own music, invent your own instrument. Play games. Compose a tune! Learn about instruments! Play games! Good books for kids. Carol Hurst’s site searchable by grade level, title or author. Activities and resouces for parents, caregivers, and home schoolers who want to help their children excell in school. Great sites: amazing, spectacular, mysterious, wonderful web sites for kids and the adults who care about them. From American Library Association. Your family’s guide to making technology fun, safe and productive. Jim Trelease’s site is aimed at anyone who is interested in reading aloud to children of all ages. Your family’s guide to making technology fun, safe, and productive. Information Please site. A vast compendium of statistics with up-to-date facts and figures. Information Please site. Features maps and detailed profiles of countries and states. Information Please site. Current and comprehensive covering all the major branches of knowledge. Online almanac, atlas, dictionary, and encyclopedia. Homepage to the Information Please Atlas, Dictionary, Encyclopedia and Almanac. Little Explorers English Picture Dictionary. Additional links to 7 other languages. Search here for images to import into your documents. We have a year’s subscription to this great resource to access at school or at home. Username and password is available for Pine Ridge students and parents. Searches for accurate, high quality, credible answers to your search questions. Find videos, images, clip art, songs, encyclopedia articles and more at this site. Search by subject, grade level, or media type. User name and password are required. See your media specialist or tech teacher. Must be on HC network. Use this citation maker for your works cited page. Searches for instant and accurate facts. Includes links to subjects, games, authors, adventure, and more. Websites organized by the Dewey Decimal system for grades K-12. Learn about space travel and the solar system. A resource for hunting dinosaurs. With profiles of over 300 known dinosaurs, immerse yourself in a wealth of knowledge about the giants that roamed the earth so long ago! Enchanted Learning online interactive hypertext book about dinosaurs designed for students of all ages. Information about endangered mammals from Science NetLinks. A site from Cornell University. A closer look at wildlife. This web site provides students with information about specific endangered animals, activities, a link to a wolf site and a story about the web of life. This site is both educational and fun. World Wildlife Fund’s Endangered Species site. Read about selected endangered species and view photographs. Provides easy-to-read Information and Printouts. Discover the stories of America’s past: Meet Amazing Americans; Jump Back in Time; Explore the States; Join America at Play; See, Hear, and Sing. Information about countries of the world. English to Spanish AND Spanish to English Dictionary. FunBrain Spanish (as spoken in Spain)–4 different levels. Teacher guides and student activities. CyberGuides are supplementary, standards-based, web-delivered units of instruction centered on core works of literature. Digital resources–videos, clip art, sounds, writing prompts and much more. Canadian based site with links for educators. Houghton Mifflin’s page with links to reading, language arts, science, social studies and math. Through The Educator’s Reference Desk you can access AskERIC’s 2,000+ lesson plans, 3,000+ links to online education information, and 200+ question archive responses. Access additional resouces by entering our user name and password. Crafts, clip art, ideas for teaching young children. A Christian perspective. Use the index for links and search tools to nearly 100 cool K-12 class topics. Start with an exploration of these search tools and starting points for students and teachers. Before reinventing the wheel, see if anyone has created something that might fit your needs. Video clips, streaming video, audio, and images. See media specialist for login information. OAISD’s booking system for AV resources. Learn360 is linked here also. MyT4L is your best resource for supporting project work with students. MyT4L includes software tutorials and reference guides, online tools, and a step-by-step process for implementing project-building with students. Use tools for creating rubrics, graphic organizers and citation lists for projects. PBS TeacherSource is your one-stop shop for PBS educational resources for K-12 classrooms. Find and reserve AV resources. Link to Learn360 AV resources from this site also. Free tools and resources for your classroom. Over 1,000 best internet sites for teachers. FREE lesson plans and educational resources. Over 50,000 resources for teachers. Literacy, Education, and Technology. This site works to help you integrate technology into your classroom by offering FREE online tools and resources. This site helps teachers locate and create ready-to-use Web lessons, quizzes, rubrics and classroom calendars. Find and reserve AV resources here. Link to Learn360 from this site also.